If your building’s roof is damaged, Great Lakes Roofing & Construction can respond quickly. Even the smallest leak can grow into an expensive problem. Our Chicago roof repair experts can identify and isolate the source of the leak and make reliable repairs. If more serious storm damage occurs, we are on the job to mitigate additional damage and restore the integrity of your roof. All components of the roofing system should be closely inspected and a record made of any signs of deterioration, unusual traffic patterns, poor drainage, accumulated debris, displacement or loss of ballast, or other conditions. Great Lakes Roofing takes the time to go through all of these details to ensure your roof is staying fully intact and ready to brace the Midwest weather. Great Lakes Roofing & Construction is one of the leading roofing contractors Chicago IL business and commercial property owners can turn to for professional-level roof maintenance services. Keeping your roof functioning properly and providing preventative maintenance can help ensure roof performance and extend the service life of your roof, saving you thousands of dollars in replacement costs over the life of the roof. No matter where your company is located, we are able to establish a professional team to help service your needs. Our teams are always in high alert so your potential problems can be solved with precision in a time friendly manner. Our employees are constantly educated and trained to make sure the product we deliver is of the highest quality. With over 20 years of experience, you can count on us to get your job completed the right way. I would strongly recommend using Great Lakes roofing. Not only are their prices great but they will go the extra mile to see your project is completed in a timely fashion. No matter if it is a new job or emergency repair they have always handled professionally and efficiently. I will continue to use them in all my projects. 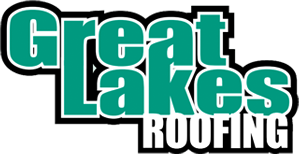 Great Lakes Roofing has been our roofing contractor for the past ten plus years. We have used them for roof inspections, roof repairs and total roof replacement. We have been totally satisfied with their work. Russ Petersen and his entire staff provide prompt efficient service. Great Lakes Roofing is an excellent company with excellent service and we would recommend them highly. If you’re like me and you want to work with people that care about what they do and appreciate your business, Great Lakes Roofing is the only place to go for a roof. My first experience with them was terrific. We had a roof peel off right before winter. Great Lakes went out and immediately shored it up to get us through the season. When the snow and ice started to melt, they came back many times to help stop numerous leaks before it was warm and dry enough to do the replacement. They quickly realized that our situation was desperate and asked the other customers if they could move our repair in front of theirs given our need. They came out right away and did a fantastic job. When it comes to choosing a Chicago roofing contractor, we know you have a multitude of options. We think Great Lakes is your best! Great Lakes Roofing & Construction is a commercial roofing contractor servicing Chicago and Northwest Indiana. We specialize in flat and metal roof installation, repair and restoration for commercial, industrial, institutional and multi-family residential buildings.